The Teacher Education Unit Candidate Dispositions lists Buffalo State's expectations for students to become successful Teacher Candidates. The New York State Code of Ethics for Educators includes a Statement of Purpose and 6 guiding Principles.  Buffalo State Teacher Candidates should consider applying for a position in the Teacher Education Unit Professional Advisory Council, TEUPAC. Undergraduate student representatives are selected to serve on the Advisory Council through an application and interviewing process. Serving on the Professional Development Consortium and Council is a rewarding, collaborative, and educational experience that builds your resume, allows your teacher candidate voice to contribute, and provides opportunities for professional development and networking. Representatives serve a one and one-half year term. Attendance and participation at monthly meetings is expected. The PDS Leadership Award recognizes the contribution of a PDS Student Representative to the Consortium and teacher education at SUNY Buffalo State. Recipients are selected by the PDS Co-directors because they articulate the PDS mission while demonstrating the ability to represent the needs and concerns of their fellow teacher candidates. Recipients have served as role models and mentors in addition to designing, conducting, and presenting research at local and national PDS conferences. This award is given to one PDS Student Representative annually.